Is Munmu the Dragon King to be trusted? Probably not. 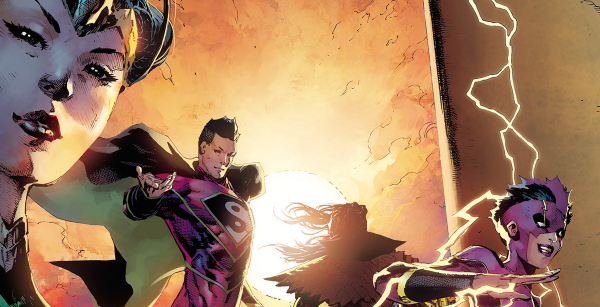 Throughout New Super-Man, writer Gene Luen Yang has shown little love for characters in positions of power — they lie and manipulate, almost without exception. Munmu does not exactly scream “trustworthy” when his first order of business after finding a new surrogate is mass murder. 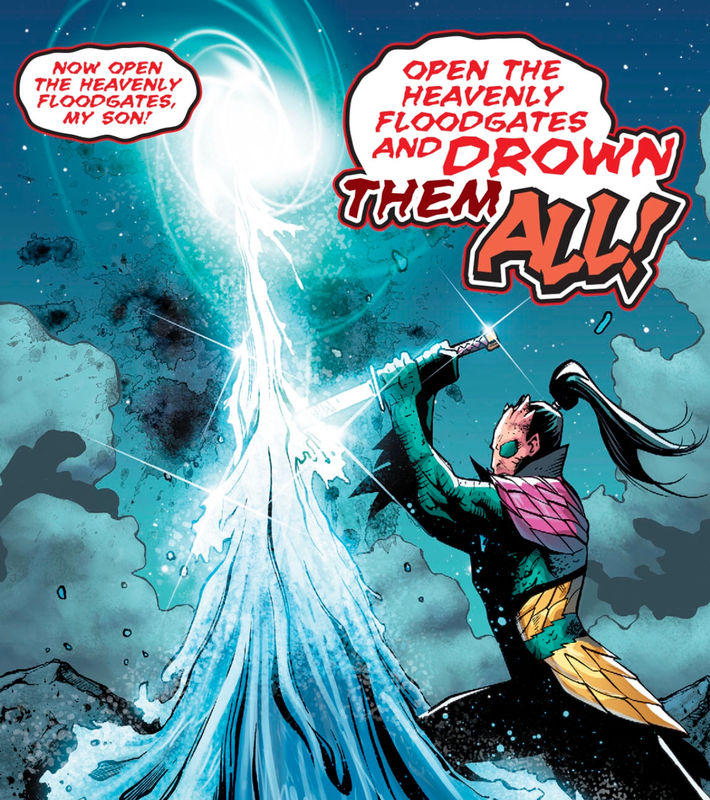 Red lettering is used in the issue to denote characters speaking in Korean, and letterer Dave Sharpe uses this to terrific effect, making Munmu’s screams drip with menace. The New Super-Man series has been consistent in its portrayal of characters’ greatest strength coming from within. Right now, Ahn Kwang-Jo is letting himself be ordered around while neglecting his own moral compass, leaving readers waiting for the other shoe to drop.